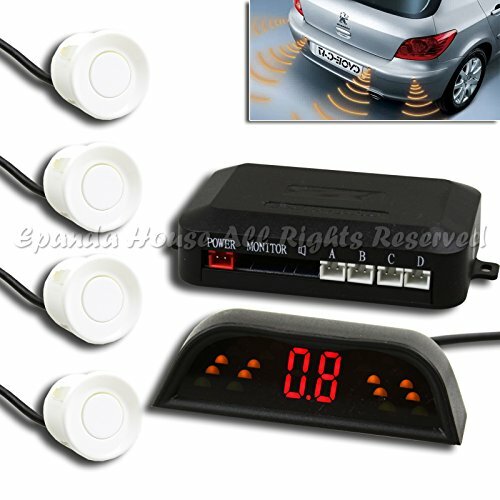 LED display indicate distance between the car and nearby object and also makes audible noise. White color sensors to match White car bodies. 1 complete set of backup sensor kit. Help you avoid obstacles when backing up by displaying distance and makes buzzers noise when object is near sensors. Wirelessly connect to your LED display without the need to run long wires in your car. Control unit has open wires to connect to any 12V DC power source in your car, ie backup lights. LED display conveniently powered by 12V cigarette lighter plug in the car.